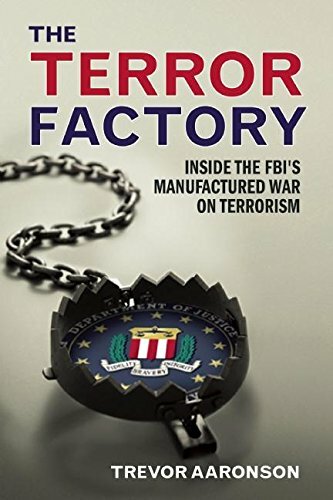 [PDF] The Terror Factory: Inside the FBI's Manufactured War on Terrorism | Free eBooks Download - EBOOKEE! Description: A groundbreaking work of investigative journalism, The Terror Factory: Inside the FBI's Manufactured War on Terrorism exposes how the FBI has, under the guise of engaging in counterterrorism since 9/11, built a network of more than 15,000 informants whose primary purpose is to infiltrate Muslim communities to create and facilitate phony terrorist plots so that the Bureau can then claim it is winning the war on terror. An outgrowth of Trevor Aaronson's work as an investigative reporting fellow at the University of California, Berkeley, which culminated in an award-winning cover story in Mother Jones magazine, The Terror Factory reveals shocking information about the criminals, con men, and liars the FBI uses as paid informants including the story of an accused murderer who has become one of the Bureau's most prolific terrorism snitches as well as documenting the extreme methods the FBI uses to ensnare Muslims in terrorist plots, which are in reality conceived and financed by the FBI. The book also offers unprecedented detail into how the FBI has transformed from a reactive law enforcement agency to a proactive counterterrorism organization that traps hapless individuals in manufactured terrorist plots in order to justify the $3 billion it spends every year fighting terrorism. No comments for "[PDF] The Terror Factory: Inside the FBI's Manufactured War on Terrorism".